You can also connect with Gold Leaf Studios on Facebook. Gold Leaf Studios is located in a carriage house tucked into a courtyard off of Massachusetts Avenue near Dupont Circle. 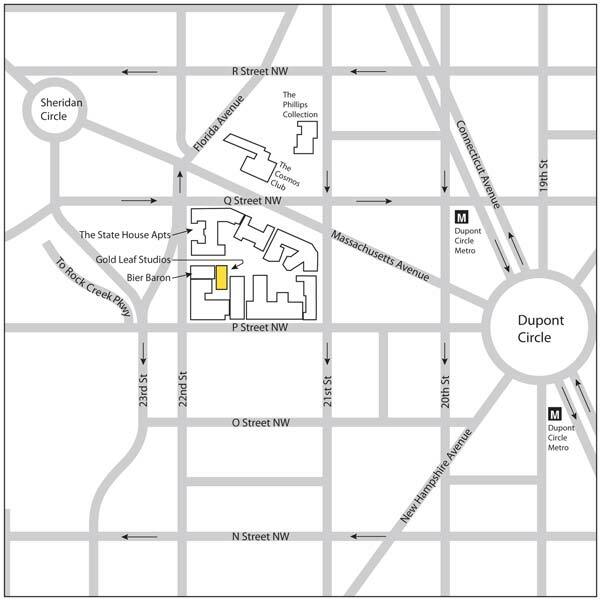 The studio is accessible by car from 22nd Street NW. © Gold Leaf Studios. All rights reserved.